Flying is the elephant in the room of our climate consciousness. Is it not time for the comeback of the train? My first real trip was by train. Together with a high school friend, I made a plan to wander around Spain for a month. With my backpack on my back, I headed down from the rich and modern North towards the sultry, poor, but oh so charming South. I was so young. No car or plane was involved in this. Our means of transport was the train. For a few hundred euros, we bought an Interrail Pass, which allowed us to travel unlimited for a month through pre-selected parts of Europe. Only for the high-speed train we had to pay extra. But we were not in a hurry. Our goal was to explore the country, not to get from A to B as quickly as possible. 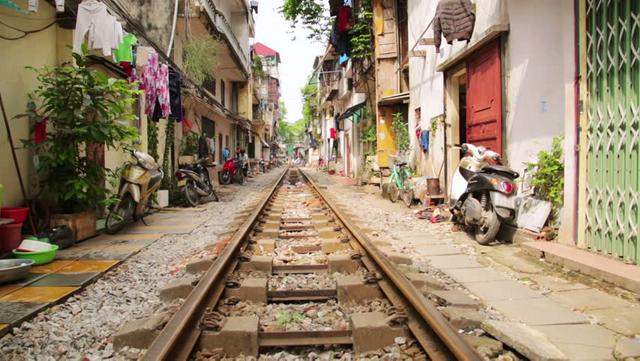 Unlike a car, a train runs along the back of the world. And so it is: with the train you glide past places that you don’t see in our modern world, governed by speed: the vegetable gardens, the drying laundry, the cemeteries, the mountains and lakes. By train you go straight through life instead of all around it (car) or far over it (plane). Call me old-fashioned or sentimental, but the train is simply the ultimate way of traveling. And in fact also the most comfortable, cosiest and cleanest. Good. That is all for now. Now a confession. Because no matter how much I love traveling by train, I never do it anymore. I only have to blink a few times with my eyes and I’m in Valencia. You can barely call it traveling. Let it be clear: I do this with a growing sense of discomfort. Besides the fact that flying is by far the most ugly (you see almost nothing of your surroundings) and uncomfortable way of traveling (no legroom, lack of sleep, long waiting times), it is also the most destructive form of travel. A round-trip ticket to Bali has as much climate impact as four years of driving. So I can do my best to live as sustainably as possible all year long, a flight of two and a half hours risks wasting all these efforts. In other words, there is no better way to warm the earth than by plane. Last year airlines transported an all-time record of 4.1 billion passengers. In 2035 the number of air passengers will have doubled according to the forecasts. If nothing changes at all, aviation will emit as much in 2070 as the world would be allowed to emit in total according to the Paris Agreement. That is obviously completely untenable. Flying is the elephant in the room of our climate consciousness. We know that it is very polluting, but we prefer not to talk about it; we are too attached to our far too cheap, fast and frequent trips across the globe. Including I. For the time being, aviation is still running on subsidies and tax benefits (such as 0% tax on kerosene and no VAT levy on air tickets), so flying is disproportionately cheap and other, much more environmentally friendly means of transport, are far too expensive. When I searched out how much it would have cost me to travel to Spain by train, I quickly came to the simple conclusion: Do not do it. Around 400 euro and at least 18 hours travel time. For comparison: a plane ticket would have cost me 30 euros. There is another way. China is the shining example. They have put a lot of efforts and focus on high-speed trains. Already almost the entire country is easily accessible with a fast to ultra-fast train, and more and more Chinese people see the advantages of the fast train compared to the domestic flight. To give you an idea: from Beijing to Shanghai (1300 km), a route that is already being used 600 million times a year, it takes you about five hours and soon just even four. China is also actively working on a high-speed rail system in the rest of the world. They are working in other parts of Asia, from Africa to Great Britain and even the United States. 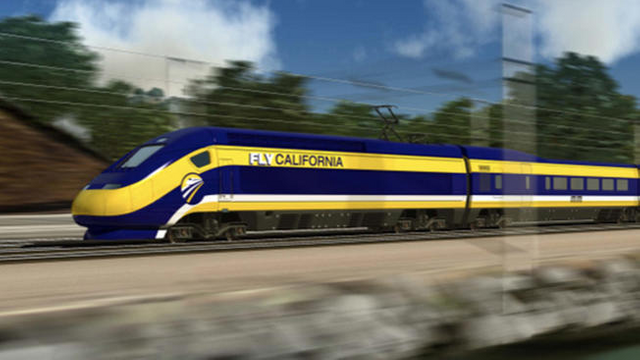 California, in collaboration with the Chinese, is busy building a so-called 'bullet train' that eventually will run all the way from San Diego to Sacramento and San Francisco. That’s about 1300 km with speeds of 320 kph. The point is: the aviation industry is hopelessly stuck in the fossil era. Cleaner fuel techniques will not make a big difference and electric flying is far from reality: according to calculations by aviation industry expert Paul Peeters not before 2080(!). Trains have the possibility to write a different story. They run (almost) all on electricity and at a later stage probably on solar energy. A future where we travel by train overland and by plane overseas; I think it’s not a bad idea at all. Europe countries truly share resemblance, though I have never traveled by train before through the interstate I understand the experience to be beautiful, and the memory captivating, looking forward to it.